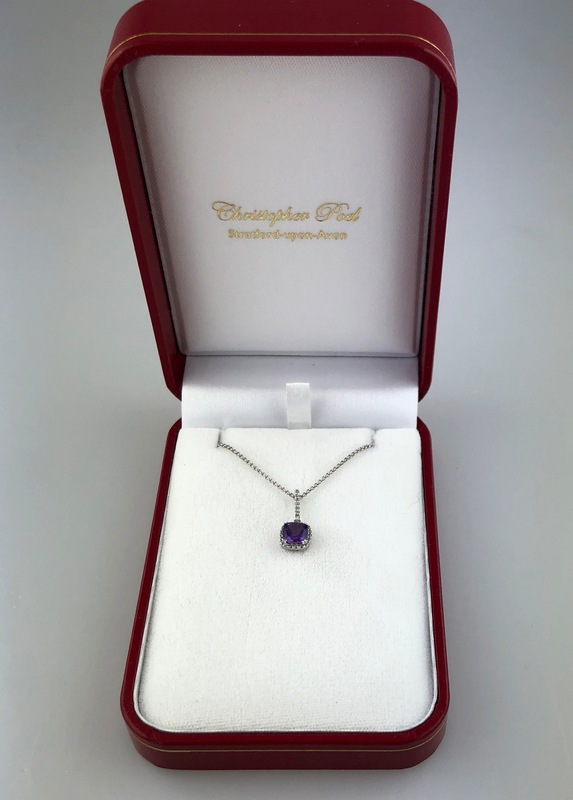 This is a pre-owned 18ct amethyst and diamond necklace (LD12). 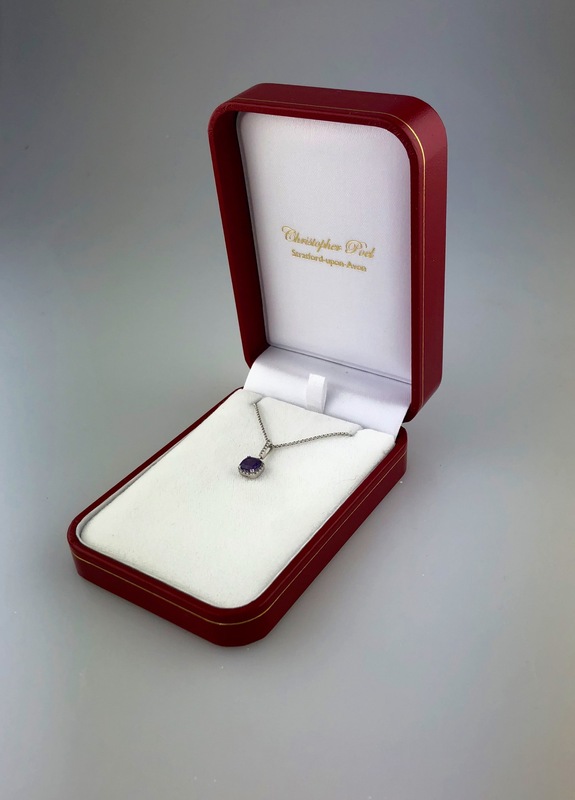 princess cut amethyst stone with a cluster of diamond surround. 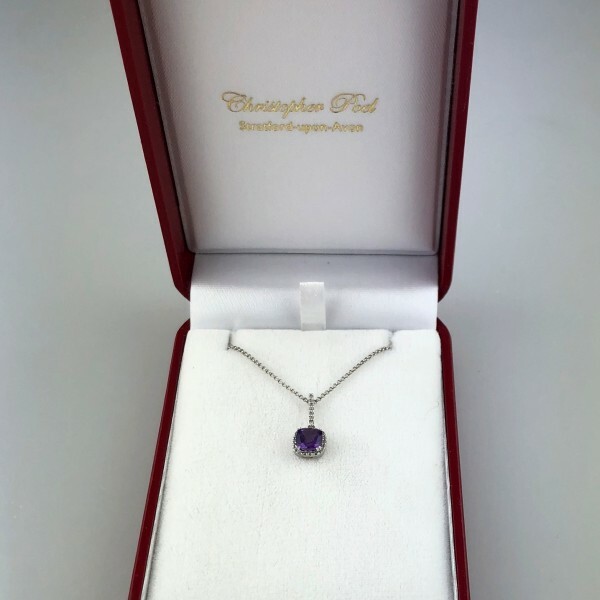 Hanging on a 18ct white gold chain.